Why Is Memory Screening Important? The difficulties of aging are not just limited to physical problems. Many seniors also live with cognitive issues including memory deterioration. Alzheimer’s disease and other types of dementia can rapidly take a toll on a senior’s cognitive function if they are left untreated, but new procedures for memory screening are highly effective for seniors even if they are not concerned about their mental health. Memory screenings are essential for the early detection of age-related dementia and help Oshkosh dementia caregivers determine how to implement care for their loved ones. How Does Early Detection Aid in Treatment? If a senior does have memory problems, it is better to know what the cause is as soon as possible. 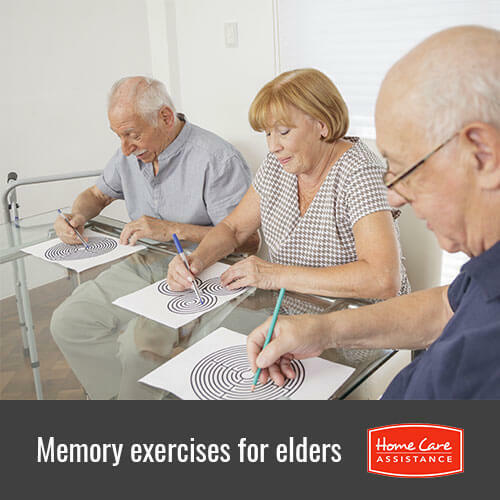 During a memory-screening test, a senior will be asked questions and asked to complete tasks that can determine if he or she is having the slightest difficulty with memory and cognition. This allows seniors to gain access to Alzheimer’s and dementia treatments as soon as possible, and they also have more time to make legal, financial, and healthcare decisions while they are of sound mind. What Should You Do With Memory Screening Results? Keep in mind that a memory-screening test is not a diagnosis of dementia or Alzheimer’s. If anything concerning is revealed during the test, you may need to take your senior loved one to see a doctor for further medical evaluation. Normally, the person conducting the memory-screening test will provide the senior with a copy of the results that he or she can share with his or her Oshkosh Alzheimer’s caregiver, primary care physician, or other healthcare professionals. How Can You Get a Memory Screening Test? Should your loved one receive and Alzheimer’s or dementia diagnosis, reach out to Oshkosh Home Care Assistance. We provide specialized memory care for local seniors in order to boost cognitive skills, delay the onset of dementia and encourage independence and self-esteem. Contact us at (920) 710-2273 today to schedule a no-obligation consultation for your senior loved one.